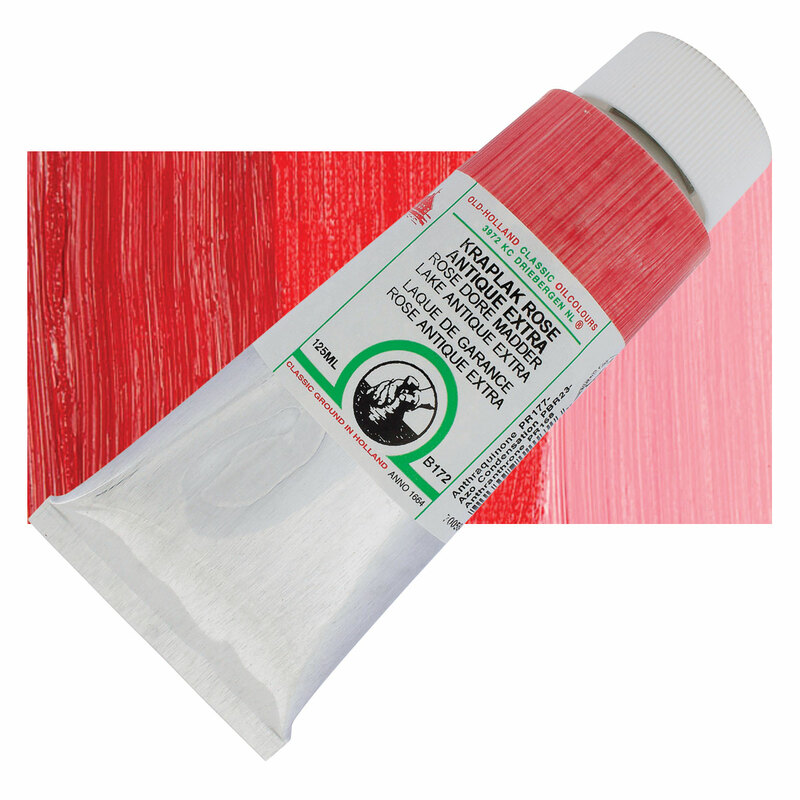 Anthraquinone Red is a magenta colored pigment that is transparent and moderately intense. It tends to fade in tints and is suitable for all media. Anthraquinone Red has good lightfastness and permanence in its masstone, while its tint lightfastness is moderate. Overall lightfastness and permanence varies by brand. Anthraquinone Red has no significant acute toxicity. Anthraquinone pigments originated as textile vat dyes before being used as pigments. They became more popular with artists once it was discovered that careful preparation and grinding helped them to retain brilliance of color. Indanthren Brilliant Orange is insoluble in water. The lightfastness of anthraquinone vat dyes is consdered to be good, and may be improved upon by the use of protective coatings to avoid exposure of the dye to oxygen. Indanthren Brilliant Orange has been used as a vat dye for textiles.